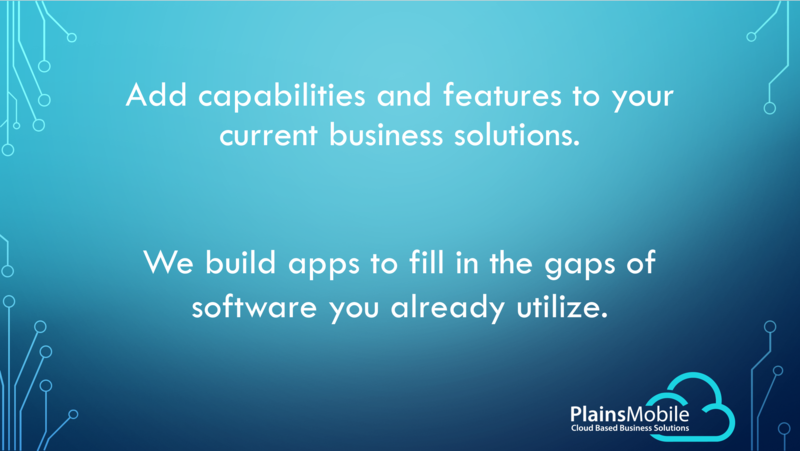 Cloud Based Business Solutions | Plains Mobile, Inc. Rapidly develop custom cloud-based software for your business with our revolutionary “Low Code Development Platform”, ezCinect™ OBI. 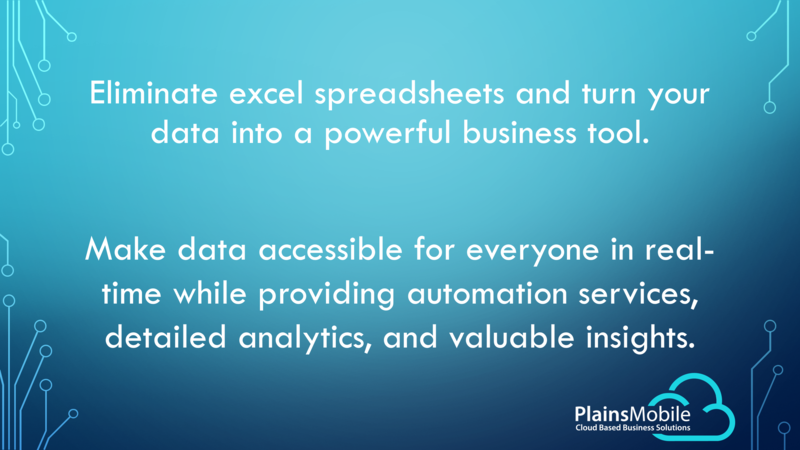 Plains Mobile helps businesses of all sizes organize, analyze, and automate their data to unleash their full potential. We develop business applications by inputting data into prebuilt forms to construct each solution. This allows us to rapidly build software, while tailoring it to each unique business. Our solutions can grow and evolve with your business. 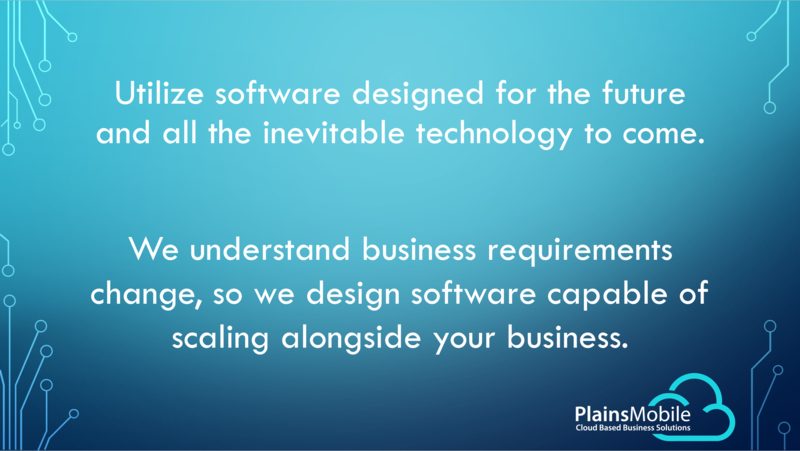 As needs change, we can easily add features to make sure your software advances alongside your business. 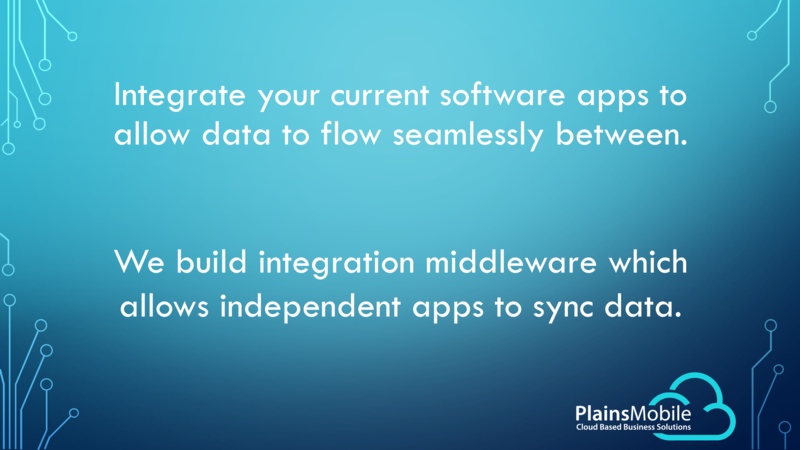 Add features and capabilities to the software you currently use. We can build add-on features to seamlessly integrate with applications you are utilizing today. Business Solutions Designed Around You. When your business changes, we easily adjust your solution as needed. Changing the way business solutions are supposed to run. Confident in providing the best solution and services your business deserves. Excelling in providing excellent products and services. Choosing the right company to help your business succeed is crucial when it comes to your business solution. 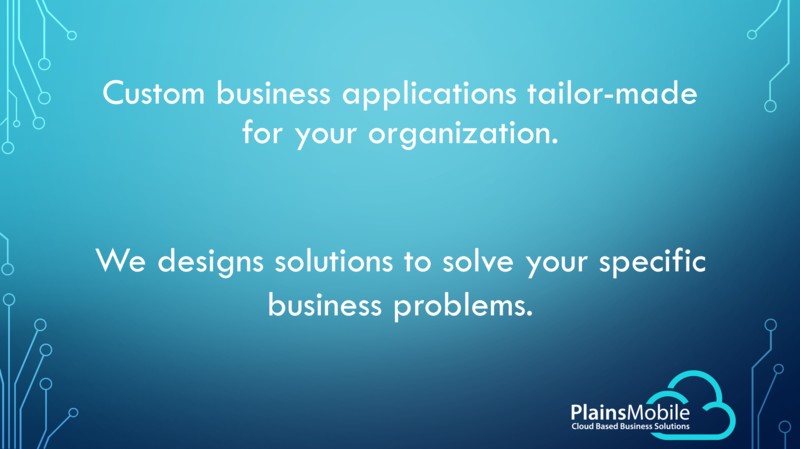 Here at Plains Mobile Inc, we’re defying the way business solutions are typically supposed to operate. Most solutions are prepackaged or “cookie-cutter”, not allowing you to add and remove features that meet your specific business needs. We develop your software customized around your business, not the other way around. IMPLEMENT – We create your workflows and combine them into a single solution allowing analytics to be accessible exactly when you need them, automation implementation to be user-friendly, and dashboards to be visually made to fit. SUCCEED – Continual support and service are provided by a team of experts to make sure we’re meeting your everyday business needs. 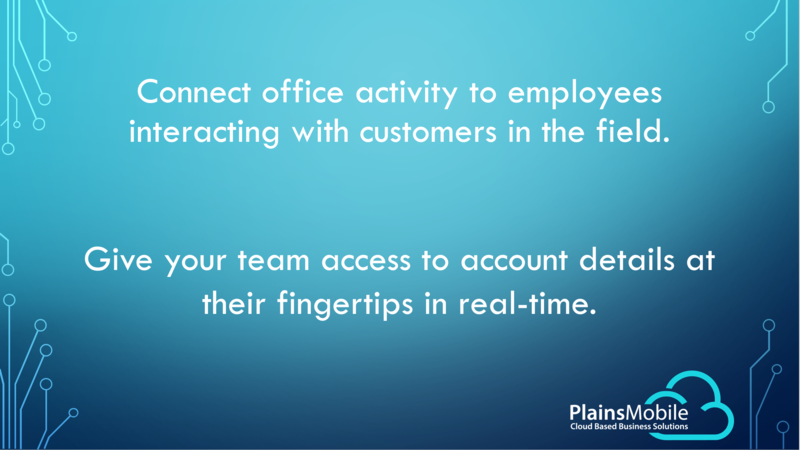 "Plains Mobile listens to our needs, we needed a special data cube and they delivered a solution the next day." "Plains Mobile customized our solution exactly to meet our business' needs"
"Through the automated invoicing process, I can have my invoices generated and emailed in a matter of seconds by the click of a button."